I don’t know whether this is an ancient Chinese proverb or a mass-manufactured brainchild of an underpaid copywriter somewhere in Chicago. I do know that it was inside my fortune cookie after I had lunch at Hunan Delight about a year ago, and it changed the way I look at nonfiction. Perhaps I shouldn’t be so quick to gather meaning from mass-produced slips of paper, but isn’t that what books are made of? I come from a family of electricians and mechanics, and though I can barely keep the oil changed in my car and frequently need my wife’s help to operate my MacBook, I know this much: Digital circuits work in bits of information, each bit working into the systematic logic of the circuit. If any bit doesn’t logically fit, the circuit will malfunction. Each bit, though, works in a continuous strand, but has its own infinitely variable sequential order. I teach a class on convergent media, and one of the things we talk about is how digital online media have changed the way we read, and think. One of the ways we talk about this is by making a distinction between “analog reading,” in which a person reads something from beginning to end without stopping, and “digital reading,” in which a reader stops to analyze a piece of writing into interlocked units. The first reading of anything is usually mostly analog; subsequent readings, if they happen, are usually digital. Two years ago, I started writing creative nonfiction in earnest. My first and most looming problem was that I didn’t really know what creative nonfiction was. I’d spent most of my life writing journals, poetry, criticism, fiction, and some freelance journalism, in that basic order. When I applied to MFA programs, most were in fiction. I’d seen the term “creative nonfiction” in passing, and had mostly thought it an unjust term – if it’s creative, can it be truly called nonfiction? And if it’s nonfiction, where’s the room for creativity on the writer’s part? Nonetheless, I was finding myself drawn more and more to nonfiction – about my own life, but also the world I saw around me. In the movie Sideways, a man tells the main character, a novel writer, “I like nonfiction. There is so much to know about this world. 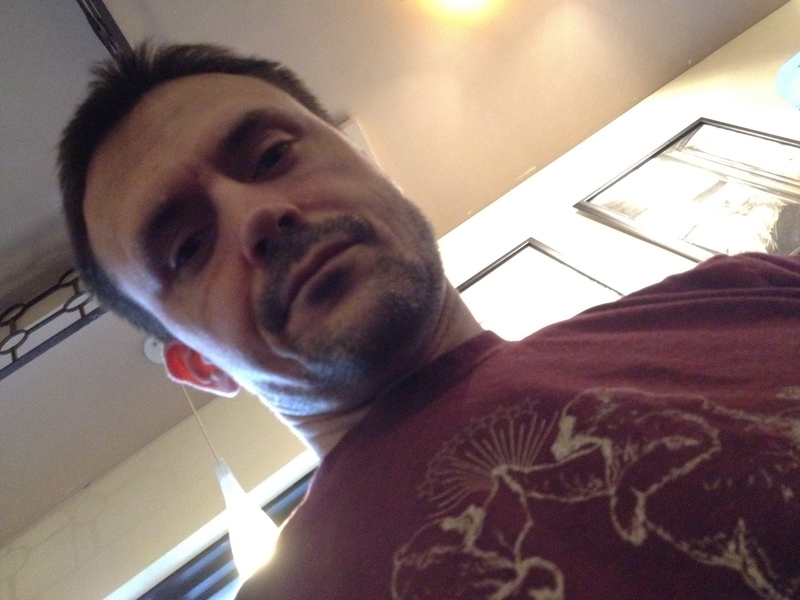 I think you read something somebody just invented, waste of time.” I found myself agreeing with the nonfiction reader. But I still felt a bit justified in distrusting a genre that is younger than I am – Lee Gutkind, the “Godfather of CNF,” says he’s been using the term “creative nonfiction” loosely since the 1970s, and the National Endowment for the Arts made the term official in 1983 in order to justify handing out fellowships for it. That’s where the fortune cookie comes in. If the nonfiction writer’s subject is the world, and his or her place in it, the first responsibility of the writer is to reduce the world into workable units. Much like a reader must read something numerous times to piece out the analog parts and then find the digital circuit at work, the nonfiction writer must find the story-units in the world and then fit them into a working digital circuit of the writing. In telling the myriad stories the world and the self contain, one of the writer’s first steps is shaping and condensing systematic and narrative units. For our purposes here I’ll coin the term “digital nonfiction” for this process – if an essay or a memoir or a news story (and, universally, the world) can be thought of as a digital circuit, and if all the millions and millions of stories are the analog parts, then the creativity of the nonfiction writer is primarily on how the writer sorts – or lists – those analog stories. To be clear, I’m not proposing a new genre or subgenre – we have enough of them already – but a way for nonfiction writers to approach their craft, one that reflects both a developing tradition of modern nonfiction writing through the Twentieth Century and the shifting media landscape as we move forward into the Twenty-First. So then, digital nonfiction is the process; so far the prefix “list-” is the closest I’ve found to an established nomer for the result of this process – list-essay, list-memoir, list-manifesto – so perhaps that’s the best place to start. The form of a work of art is determined by its relationship with other pre-existing forms. The content of a work of art is invariably manipulated, it is isolated, “silenced.” All works of art, and not only parodies, are created either as a parallel or an antithesis to some model. The new form makes its appearance not in order to express new content, but rather, to replace an old form that has already outlived its artistic usefulness. Viktor Shklovsky said this in the essay “Art as Device” from his Theory of Prose in 1929. Almost a century later, in an interview on the Leonard Lopate Show promoting his manifesto Reality Hunger on April 13, 2010, David Shields declared fiction to be a dead form – “glacially paced” works that “genuflect endlessly at the altar of the Nineteenth-Century novel.”In bringing up both Shields and Shklovsky, I could slide right into a connection between Shields’ rejection of the novel and Shklovsky’s declaration of art as a continual process of reinvention. 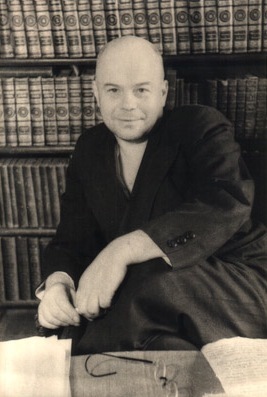 But Shklovsky was primarily a novel reader and the Twentieth Century’s primary mode of literary expression was the novel, with nonfiction used primarily as a mode of documentation, and every essay in Shklovsky’s seminal work, except for the five-page postlude “Essay and Anecdote” that I’ll get to shortly, formally deals with the novel, most of them from the Nineteenth Century. A book must be the axe to break the frozen sea within us. This may be the most important thing Shields says in the interview, at least for my purposes as a nonfiction writer. The strength of nonfiction doesn’t come only from the events and people themselves but from the formal choices the writer makes in writing about them, and those formal choices are the axe that breaks up the immense amount of each writer’s material into workable units. Shields’ Reality Hunger, subtitled A Manifesto, is itself a new genre, or rather a rethinking of what constitutes nonfiction. Everything is material to Shields – experience, quotations from wildly eclectic sources (without quotes, it should be noted), aphorism, and much more – all of which serve as the analog bits. 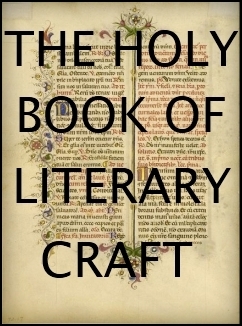 It’s essentially a list-manifesto, with 617 analog digits arranged in 26 “letter-chapters” according to the alphabet, which all have a thematic focus, like “collage,” autobio,” and “it is much more important to be oneself than anything else,” which form the digital circuit into which he plugs all these bits. 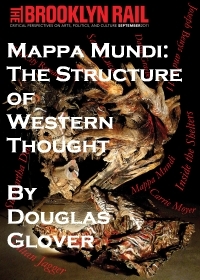 Reading the book is by turns intoxicating and bewildering in its wild range of tones and intents, and it also confirms Shields’ vision of the writer as gatherer and arranger, as much as producer, of material. Did you hear the president, as a test to see who was most efficient at apprehending criminals, took agents from the CIA and LAPD to the edge of the forest with a white rabbit in a cage? He let the rabbit go into the forest, and the first ones to apprehend the rabbit and bring it back to him would win. The essayist of today [in 1929], unfortunately, has a habit of simply coloring his material in the manner of fiction (i.e., he includes a description of the color of the sky). Yet, this is done in a useless fashion, all the more so when we consider that this color is applied from memory without any real scientific understanding of what clouds are and what they designate. But the good essayist has his standard of comparison…This discovery of a fundamental point of view that drives the material forward, enabling the reader to reassemble it once again, is a far more organic device for the essayist than comparisons that rarely hit the mark. One of [the essay’s] chief conditions should include a struggle with the traditional anecdote, which carries in its own nucleus all of the virtues and all of the vices of the old aesthetic method. I’m hastening to finish writing what everyone knows and hurrying to get to the front. How did I wind up at the front? Lenin arrived. There were Bolsheviks in the motor pools of the division; they offered Lenin an armored car for the trip from the station to Kshesinskaya Palace, which our unit had taken over for quarters. A certain part of the division was decisively for the Bolsheviks. I was then on the division committee and, with my school, represented the wing of the division that wanted to continue the war. Almost any page will do to exemplify Shklovsky’s dry, sardonic method of nonfiction writing in which he isolates events, condenses them, and throws them at the reader seemingly at random. In this way, Shklovsky had the first half of the digital nonfiction circuit – he’d taken events, decontextualized them from any linear narrative, and honed them down into analog bits and, undoubtedly as a formal choice to emphasize the random, unpredictable nature of war, eschewed any discernable circuitry. For the second half – the circuit itself I refer to a turning point in modern rhetoric, whose relationship to the growth of creative nonfiction I would argue is not coincidental. 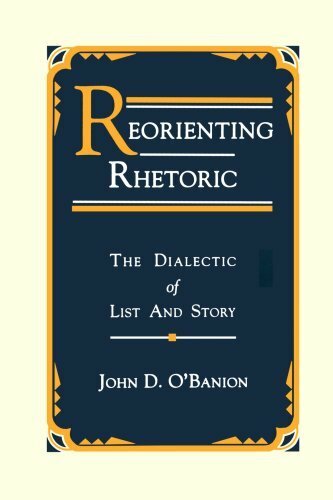 Reorienting Rhetoric, written in 1991, attempts to reclaim narrative discourse (which he dubs “story”) as an essential half of the dialectic of rhetorical theory, the other half being analytical thought (he calls this “list”). O’Banion is a proponent of Kenneth Burke’s theories of rhetoric, and the crux of his argument is that narrative thought has been frowned upon in the modern academic tradition in favor of systematic thought, but modern nonfiction, to work, must be in proper balance between both. 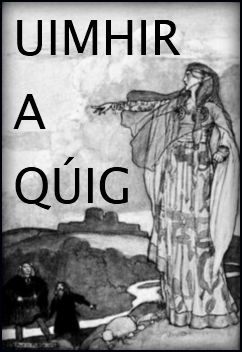 Besides being indebted to Burke, O’Banion relies heavily on a handful of classical rhetoricians, most notably Cicero and Quintilian, to establish an “original” rhetoric that leans equally upon list and story. O’Banion marks Aristotle’s “resolute turn toward logic” at the expense of narrative as the symbolic death of the individual and the wellspring of religious fundamentalism, scientific universalism, and the increased trust of written over oral discourse. Whether one subscribes to all of his suppositions is not terribly important; what is important is his final argument that in order for rhetoric (or, for our purposes, nonfiction) to be whole again, it must employ both list and story. Many might argue that in the time since O’Banion wrote Reorienting Rhetoric twenty years ago, the tradition is now shifting more toward narrative. I would argue this shift as the “creative” part of creative nonfiction, which has exploded in popularity during that same window of time. And applying both Shklovsky’s concept of enstrangement and O’Banion’s dialectic of list and story to my conception of digital nonfiction, if any piece of creative nonfiction is that digital circuit of the fortune cookie, then the isolated anecdotes or stories are the analog parts, while the systematized list – formal choices the writer makes in contextualizing the narrative parts – is the digital circuit. We rescue experience from conventionality by applying aesthetic techniques to it. The effect of using literary technique is to make the experience “strange.”…So poetry makes experience strange. Art makes experience strange and hence fresh to the observer. Thus any writing or song or piece of art achieves its “artfulness” by taking objects, experiences, stories, and any other material at their disposal and make them into art, by isolating those materials and thus heightening them so that they transcend the ordinariness from whence they come and become strangely beautiful. The parallelism I’ve already mentioned is the other element of digital nonfiction – the arrangement of those pieces that have been removed and isolated from their ordinariness, so that they exist for the reader not just as fragments of our world but more importantly as functioning parts of the digital artistic whole. 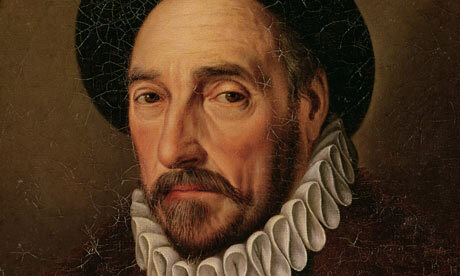 Michel de Montaigne, whom Phillip Lopate acknowledges as fountainhead of the personal essay in his seminal anthology The Art of the Personal Essay, intuitively understood the dialectic of list and story centuries before this dichotomy was formalized. His essays sidle effortlessly between his own thoughts and condensed narratives, so much that the two are sometimes indistinguishable. His thoughts range from aphoristic to personal, and most of the narratives are either summaries of things he’s read or accounts from his own life. One result of the fluid shifting from systematized “list” (his own thoughts) and “story” (which are, again, mostly short and condensed narratives) is that Montaigne’s essays don’t really seem like “essays” in the modern, systematized sense, but neither do they seem like narrative memoir or history. They are in effect, to borrow from Shklovsky, enstranged – they seem not normal, not scannable, not easily explained or summarized. I study myself more than any other subject. That is my metaphysics; that is my physics. ‘ Let me make them into a pillow,’ I said. 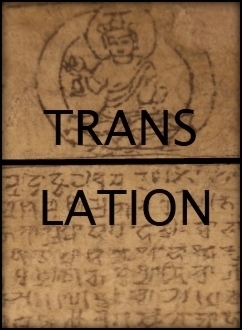 Interestingly, of the 185 entries in her Pillow Book that have been translated into English, 164 are lists – different ways of speaking, flowering trees, things that give a pathetic impression, things that lose by being painted, things that gain by being painted, things without merit, outstandingly splendid things, things that should be large, things that should be short, things that are unpleasant to see, and on and on. 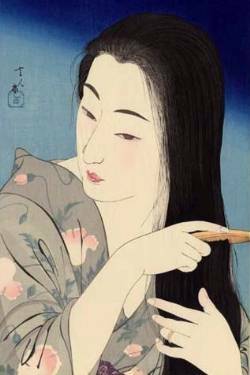 Through listing each of these categories, she rarely mentions herself, but somehow in reading each of them the reader gets to know her and her world – both the exterior of 10th-Century Japan and the interior of Sei Shonagon – like family, or at the very least gossip buddies. Take, for example, “Hateful Things,” the fourteenth entry in her Pillow Book. As implied in the title, it’s a list of things she hates, and Shonagon reveals herself through adversarial relationships with others, including pretentious people, inkstones that malfunction, and men who leave after overnight trysts without saying goodbye. She even states, with characteristic wit, “Sometimes one greatly dislikes a person for no particular reason – and then that person goes and does something hateful.” (48) In obsessively (and wickedly) accounting the numerous people and things she hates, Shonagon created perhaps the first list-manifesto, presenting her own persona clearly through the accumulation of her adversaries. This is of course only one of the multitude of things she lists and compiles in her Pillow Book, almost all of which perform a similar function of revealing Sei Shonagon, a personality I’m guessing was fairly opaque to the contemporaries who presumed to know her. 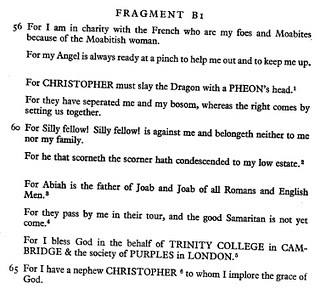 Like Montaigne and Shonagon, Christopher Smart was, when he was in the prime of his life, both influential and well-connected. He wrote for English gossip rags The Midwife and The Student; counted Alexander Pope, Henry Fielding, and Samuel Johnson as friends; and was married to the daughter of renowned publisher John Newbery. 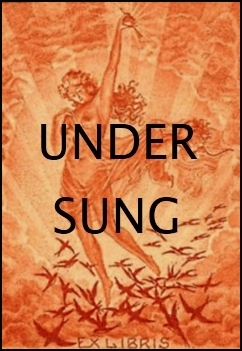 Although he’s known primarily for his later poetic works Jubilate Agno and The Song of David, most of his work in his physical prime was in prose. During this time he seemed comfortable in the literary spotlight, writing primarily literary criticism and social satire, much of it quite combative with other writers and publications. But, like with Montaigne, it took a good lot of suffering to bring Smart to his most memorable work – he incurred more debt than he could pay off, a crime in pre-Dickens England; he found himself unable to meet his contractual periodical writing obligations; he fell out of favor with his wife, and perhaps more importantly his father-in-law, who had Smart admitted to St. Luke’s Hospital for Lunatics when he was 35 years old, the most often cited reason being that he prayed loudly in public (I feel the need to note here that I hear at least one person who meets this criterion for lunacy almost every time I enter the subway). It was at St. Luke’s where Smart wrote his most immortal work, and it is here where he joins our conversation. For he is of the Lord’s poor and so indeed is he called by benevolence perpetually – Poor Jeoffry! poor Jeoffry! the rat has bitten thy throat. Christopher Smart died 140 years ago, Sei Shonagon more than a thousand, and Montaigne split the difference at more than 400 years ago. One might hardly consider them modern, but I do. I gravitated to each of them not because they represent their respective periods, but because they transcend them. The irony that they asserted their humanity through something as mechanical as listing is precisely what makes them so representative, even from a distance of centuries, of the impetus of digital nonfiction. Their literary personalities were determined by their formal choices, and their immortality lies just as much in the formal common denominators every generation shares – while we are all storytellers, we’re also all listers. My conception of digital nonfiction actually germinated, before my interlude with the fortune cookie, when I became mildly obsessed with the concept of the “list essay.” This obsession started when I read and imitated Leonard Michaels’ “In the Fifties,” which for whatever reason is generally called a list story even though it’s obviously nonfiction. The “list story” as a form was hotly (or at least warmly) debated in Numéro Cinq‘s early days, and I thought, There must be such thing as a list essay that we can debate as well. So, mission in hand, I went out looking for the nefarious, elusive List Essay. With O’Banion’s dialectic of list and story in mind, two things become clear about this beast. 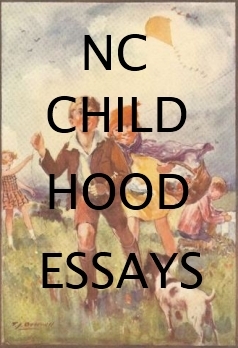 The first and maybe most important thing is that almost every essay is at least partially a list essay. The second thing is that the list essay – if there is such a thing – is a different entity than the list story, since technically the essay is a non-fiction form that contains elements of both systematic thought (list) and narrative (story). So by this reasoning, almost every essay is to some degree a systematic-narrative or list-story essay – the only “list essays” would be the ones that don’t employ any narrative. My attempt then in searching for the List Essay was to figure out some analogous connections between their systematic methods and the narratives they tell. Patrick Madden, in his essay “The Infinite Suggestiveness of Common Things,” says, “A successful commonplace essay will gather memories and researches, attach ideas and stories to build upward, toward meaning.” The verb form of essay, “to essay,” or “to assay” in its original form, in fact means “to try, attempt,” or “to put to the test; to make trial of.” The essay as a form, in the classical, Montaignian sense, is characterized by inductive rather than deductive thought, searching for meaning from each individual writer’s concerns and surroundings. For this reason, the systematic thought of the essay tends to be different not just from writer to writer but from essay to essay. The upward struggle of the essay towards meaning that Madden describes implies that, with every essay, the writer reinvents herself. Many of the essays I’ll be citing in this section seem to be working themselves out either implicitly or explicitly in the process of listing and arranging all the individual parts; I would argue that the process of “working it out” is in fact what determines each writer’s individual point of view or personality, much like Montaigne, Shonagon, and Smart did in their work. The ways that writers essay their subjects – and themselves – are as infinitely varied as the number of essay writers. But, in looking at how they balance system/list and narrative/story, I’ve found three major uses writers have found for this dialectic: 1) As a method of summary in order to view even the most personal material through a panoramic lens; 2) As a sequential framework, usually a fabricated narrative, in which to case events; and 3) As a thematic unifier, or a specific “way of seeing,” as art critic John Berger might say. Sometimes listing simply allows the writer to properly summarize an experience – the process of listing everything one remembers about one object can reveal to the writer and the reader why these objects matter. The panoramic view allows essayists to think of their subjects on a macro level – to get grip on material, how it fits together. If T.W. 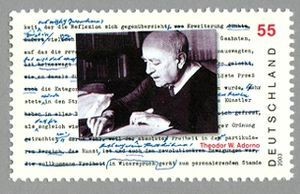 Adorno, in the seminal “The Essay as Form,” defines a bad essay as one that “chats about people instead of opening up the matter at hand,” a summary list is perhaps the most expedient way of getting to the matter at hand. “Opening up” is an accurate way to describe what Meriwether Clarke does in “The Grimm Brothers: A List Essay.” In this clever little piece, which was the first relevant thing I found when I first googled “list essay,” Clarke reduces the lives of the famous storytellers to their most basic elements, condensing their lives into 53 ultra-short paragraphs, 1-3 lines each, divided into the headings of “Beginning,” “Middle,” and “End.” Injecting concise social, literary, and historical critique into this skeletal summary of the brothers’ lives, the essay relays fact after fact about them and their work, leaving the reader to infer both the personal relationship between the brothers and the origins of the fairy tales that have become part of Western culture’s collective unconscious. Of course, summary is not restricted to historical narratives or the third person. Most uses I’ve found have in fact been in the personal essay. Tim Bascom’s “Community College” uses his own perspective as a teacher to frame his narrative in time and space, logging his students’ actions strictly from their interactions with him as their writing teacher in 16 concise, weekly sections. By Week 16 – Finals Week – he knows probably more about the students’ personal lives than he wants to, and the week-by-week log of their failures, excuses, and minor triumphs shows as well as any essay I’ve read the unique relationship a college professor has with his or her students. Going even more personal, Debra Marquart’s “Some Things About That Day” gives a shellshocked rendering of post-abortion trauma. The essay is only two pages long, with eleven paragraphs of 4-6 lines each. Unlike the previous two, Marquart’s essay makes no pretense to a unifying sequence. In the third paragraph, she finds it “difficult to remember the order in which things happened.” In the seventh paragraph she recounts telling her husband she was pregnant and him asking, “Is it mine?” And in the last paragraph she arrives home from the procedure to find him watching the NBA playoffs and telling her how brave she is. This isn’t the only action of the short essay, but I point it out because these summary one-offs reveal the importance of this day as a reflection of the days before and the days after. The reader, then, is allowed a glimpse into the actual sorting out of events, the making sense of them. The type of summary I’m identifying here is then simply the molding of amorphous material – events, objects, experiences – into tangible, workable units. This is, to my understanding, what nonfiction writers do – they take the analog timeline along which all living beings are driven, remove bits from the analog sequencing, and examine them, tell their story, on the terms the material itself dictates but also within the forms the writer chooses. These forms are the circuits within which the material becomes both a document and a work of art. Thinking in these terms, the terms “list” and story” acquire a deeper, more concentric significance. 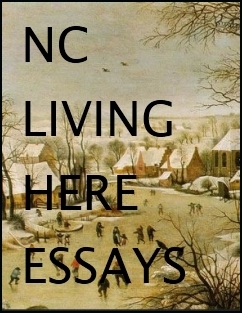 The nonfiction writer starts with a universal Story of which every living and non-living thing is part, and uses the Listing function to find the material relevant to, in Adorno’s words, “the matter at hand,” which in our terms here would be the digital circuitry of the essay. In listing and sorting the relevant digits of information, many times the narrative instinct compels the writer the form those relevant bits into stories of their own, which the writer (or readers) may further codify. In this, writing becomes a perpetual conversation between List and Story. If summary, then, is a method of digitizing material, the other two uses for listing in digital nonfiction I’ve delineated, thematic unification and sequential framework, can be thought of as circuit patterns for the digits created. These two things, as in most fiction, are almost always interdependent. For our purposes here I’d like to isolate and examine each of them at work, but also to examine their intersection. 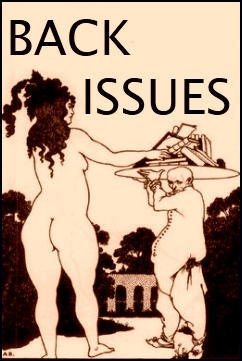 In her own introduction to her essay “Table of Figures” in The Best Creative Nonfiction, Volume 3, Brenda Miller calls it a “‘ hermit crab essay’: an essay that ‘inhabits’ an alien form in order to deal with difficult material.” She gives sequential form to difficult material – the stark rendering of her own maturation, from the shame of her childhood realization of her own body, to sharing that body, to an adult observation of the withering of that body – through a “table of figures” describing photographs of herself at different stages of her life. The description of the photographs provides the sequential framework while also focusing on the physical details of her own body’s development, giving the reader both a narrative of events and a glimpse into Miller’s own self-image through each of the photographs. In this way, the systematic digital circuitry of a list of photos intertwines with and informs both the larger analog narrative that connects them and the shorter stories each photo contains. Thinking about sequential framework, a look back at Bascom’s “Community College” reveals the artful, slightly deceiving nature of narrative: the lives of a class full of students have pushed their way into his weekly log of events, but each of their stories exists only in the merciless sequence of classes to which the students’ personal lives – no matter how insistently messed up they are – try to adapt. In “A Few Things I Know About Softball,” Carol Paik tells a similar sequential narrative of a teacher-student relationship from the other side – that of a young girl learning to play softball from her male coach – through the thematic lens of a series of five basic lessons she learned about softball (“Put your body in front of the ball,” “Run and look over your shoulder,” and so forth). She juxtaposes her own adolescence with the dissolution of her coach’s marriage, avoiding histrionics by grounding the narrative in the physical act of playing softball. These “rules of the game” that head each section drive the thematic concerns of the analog narratives within each of them. One fringe benefit of this marriage of sequence and theme is that if it’s successfully done a writer can give the reader deep glimpses into her soul and psyche without having to say much about herself, much as Sei Shonagon did a thousand years earlier. Susan Allen Toth, in “Going to the Movies,” uses three brief numbered sections to tell of three different men she goes to the movies with: how they watch movies, and how she watches movies with them. The point of view of each of these sections is reactive, starting with the men’s names (“Aaron takes me only to art films.” “Bob takes me only to movies that he thinks have a redeeming social conscience.” “Sam likes movies that are entertaining.”) and with Toth portraying herself only within her semi-romantic relationships to them. Each of the first three sections is three paragraphs long – the first of each section tells why each of her potential suitors likes the type of movie they go to see together, the second how she watches the movies with each of them, and the third how the date with each inevitably ends. Then, in the fourth and final section, she tells of going to the movies alone, putting her feet up, and singing along to musicals with happy endings, where “the men and women always like each other.” It is through the systematic, quantified analysis of the men she goes to the movies with that she finds her own place in her dating circuit. For another example of the weaving of theme and sequence in the digital circuit, we can look again at Marquart’s “Some Things About That Day” alongside Dawnelle Wilkie’s “What Comes Out.” Both center thematically on abortion but they deal from opposite sides of the plate glass window, Marquart recounting her own experience getting an abortion and Wilkie recounting the life of the health care worker assisting with the abortions. Both are short and unassuming, and neither says what it implies. Wilkie even starts the essay by telling the reader, “We do not talk about What Comes Out,” then clinically and unsparingly takes the reader through the process the health care workers go through in removing and disposing of it. Marquart, in two brief pages, reconstructs from hazy memory the same process, stating that “My friend tried to soften it for me afterwards. Just say you had a procedure, dear.” So, for both, perhaps the United States’ most heated contemporary political debate becomes simply a procedure to get something out. The human narrative is embedded in the systematic procedure, just as the thematic concerns are intertwined with the sequences of events. Marquart and Wilkie are not the only writers who show that sometimes the sequential framework can serve as a unifier for complex, seemingly irrational (but related) subjects and responses. There’s nothing more sequential than a numerical system, and I’ve read quite a few essays recently that take the form of the numbered list. Last year TheRumpus published Steve Almond’s “Let Us Now Raze Famous Men,” a loosely configured list of 33 items that starts with the suicide of Virginia Quarterly editor Kevin Morrissey and continues into the loneliness of the writer, the harsh state of the publishing industry, our need as humans for empathy, and many other things, each piece building more intuitively than logically upon the other. But I’ve read no essay that builds meaning from numbers in as unique fashion as Jonathan Lethem’s “13, 1977, 21,” from his collection The Disappointment Artist. Lethem uses concentric numerologies – 13 years old, the year 1977, watching Star Wars 21 times – and frames the essay in 21 short, concentric sections, to attempt, through the prism of the systematic retelling of his pre-teen obsession with Star Wars, to come to grips with his mother’s death at the time and his own budding sexuality. Each section expands and contracts around these three numbers, jumping through time and space, splicing wildly disparate popular culture references with his own experience to create a piece that, like Almond’s but more so, has a logic that is easy to feel but hard to explain. 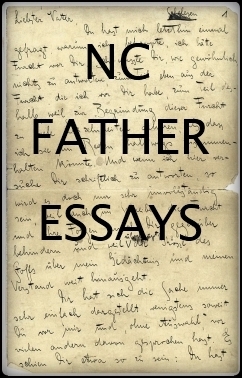 The formalist response to this might be that every piece of writing is a construct of formal choices, and all meaning is a result not of experience or emotion, but of the relationship between these formal choices; the romantic would perhaps challenge the formalist to then explain exactly why Lethem or Almond made those choices. I like to think I’d break up the silent stalemate with a chuckle, knowing that both of them are right and, much like the digital dialectic of list and story, neither can exist without the other. And then sometimes an essay can seem to completely eschew sequencing, placing the logic of the circuit on thematic unity. Both Leonard Michaels’ “In the Fifties” and Wayne Koestenbaum’s “My ’80s” use a decade as a (false) unifier to frame events in their own comings of age. Both relate literary and cultural touchstones associated with the respective decades – Michaels using Dylan Thomas, McCarthyism and Greenwich Village bohemians and Koestenbaum using Tama Janowitz, AIDS, and the Greenwich Village gay subculture – to private events in their own lives. This juxtaposition gives these private events an epic scope, and also allows audiences an entrance through shared cultural images and icons. This dependence of the circuit entirely upon thematic unity seems, to me at least, harder to pull off. But if we remind ourselves that the narrative drive is essentially analog, and if we think of the circuit again as a series of analog parts, then might it make sense that the most complex circuits are the ones with the most thoroughly spliced and diced narratives? The writer’s place in the world seems to have reversed itself since Montaigne’s time – if Montaigne’s contemporaries might have considered him a little odd for his almost complete immersion in the media of his time, the writer of today is expected to be immersed in the digital media on multiple platforms. Audio and video are now at least as important as word-based media in the digital landscape, and all of them are bedfellows in multimedia expression. It makes sense, then, that writers (and every artist or documentarian in any medium, for that matter) should adapt intuitively to the demands and advantages of the digital medium. Just think of the basic yet profound changes the Cut and Paste functions have had on the writer’s craft. In many ways, the digital conception of nonfiction is simply a further induction of this function. Cutting and pasting, splicing and dicing : poe-tay-toe, poe-tah-toe. When reading most of the essays in the previous section, one question continually nagged at me: Could anyone pull this off in a book-length work? 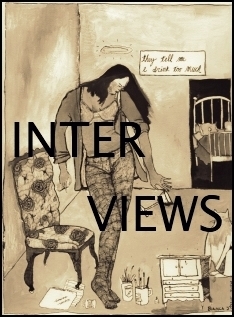 I asked this question of Patrick Madden, and he asked me if I’d ever heard of Joe Brainard. I’d heard the name, but didn’t know much about him – to my shame, it turns out. Brainard was an integral part of the New York School of poetry (not the New York School of art and painting, to whose aesthetic movement his artwork bore little resemblance) and, living in New York City and fancying myself a novice historian, I’m now duly embarrassed that Brainard’s work has eluded me until now. 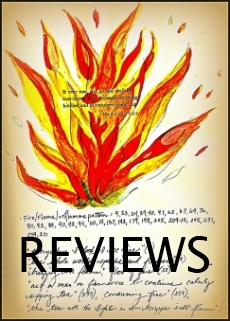 I Remember is not just a book but a compilation – he published many of the entries in smaller, chapbook-like editions through the Seventies, including I Remember, I Remember More, and More I Remember More. 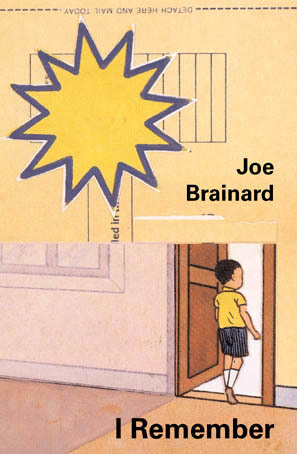 It’s not surprising to me after reading even one page of I Remember that Joe Brainard was primarily a visual collage artist and secondarily a writer, to his own mind at least. I Remember is a pastiche of over a thousand descriptive images, short narratives, inversions, fantasies, revelations, and name checks, tied together only by the fact that all begin with the words “I remember.” If the book is the digital circuit, we could consider all of these bits the analog materials. Brainard arranges them rarely with any apparent care for sequential narrative – rather, he piles image upon image, memory upon memory, until they, almost by sheer weight, combine and condense into a vibrant, sometimes hilarious, sometimes gross, sometimes heartrending portrait of a gay youth in Tulsa, Oklahoma in the Fifties who moves to New York City and becomes part of a major arts movement. 1. Brainard is a lingual minimalist. All of his memory-paragraphs are short, with almost no modifiers (i.e., adjectives or adverbs). 2. Every memory is separated by both an tab indent and a line break. Each of Brainard’s memories, then, becomes a found object, a fact Brainard reinforces with every memory by preceding it with “I remember…” In doing this, Brainard frees each individual memory from its original context, and forces it to stand naked, competing with the thousands more naked memories before and after it for the reader’s attention. Though all of the material in the book was written from 1970-1973, well before the advent of the internet, this cumulative aesthetic seems particularly relevant to today’s digital media environment, with millions of bits of information competing for our attention. In this sense, the digital circuitry of I Remember seems to reflect the aesthetic story of our current situation in analog time. I remember how much I tried to like Van Gogh. And how much, finally, I did like him. And how much, now, I can’t stand him. But much more often the memories are completely estranged from each other, leaving the associations to the reader. These reader associations can be personal, whether a recognition of objects or emotions in the memories. They can also, like Michaels’ “In the Fifties” and Koestenbaum’s “My 80s,” be with the many cultural references that pepper them. Another key “digital” characteristic of the book is that the reader can open randomly to any page, start reading any memory, and gather meaning – perhaps a different meaning than if the same memory had been read sequentially. 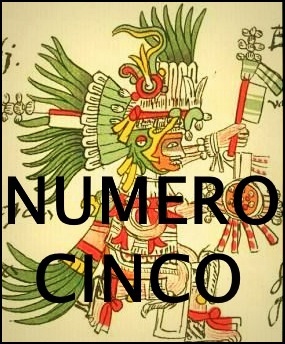 Thinking numerically, all these variables increase the number of possible meanings and interpretations exponentially; thinking semiotically, the paradigm of the book is constructed by the reader as much as by Brainard. This might be called cheating, if there were rules – not an actual memory but a memory of a communal myth, made especially delectable by the nature of the myth. I mean, who hasn’t heard a story, growing up, about something disturbing going on at a fast food joint? (My mother used to tell me McDonald’s made their burgers from worms, a legend so ubiquitous that Snopes.com devoted a page to disproving it.) This memory/legend also combines Brainard’s fascination with the disgusting and his sense of humor with his sometimes morbid, sometimes elegiac, always matter-of-fact mention of death. I have to say, this one actually made me stop reading for a minute when I first read it. Here is something you’re not supposed to admit remembering, a racially charged episode where the primary cultural plotline of his time, the Civil Rights Movement, assumes secondary importance to the child’s simplistic, external view of the world. More than most, this particular memory, or at least the thought in recollection, walks a fine line between honest and asinine. It bears pronouncement that in selecting these memories at random, I am creating meaning as I go with my random selection of and reactions to Brainard’s memories, and also with my own categories (once again, in italics) that are shaped by my own preconceptions I bring to the table. And if I did the exercise a hundred times I would find different variations in meaning each time. This multiplicity of meanings is inherent to the circuitry of the piece – if each memory, a bit of analog, is set like a 1 or a 0 within the code of the piece, each bit will have its own meaning on its own or in relation to every other bit within the circuit, not just the one immediately before or after it. The wonderful irony of Brainard’s I Remember is that, through intuitive enstrangement of normal, everyday language, it achieves its own sort of “magical realism,” for lack of a less-used term. Brainard makes his own personal experiences epic by singling them out and alienating them from each other, and using clean, sparse language to relay them. And if the richest, most complex art has the most possible meanings and reactions, then the digital circuitry of I Remember serves the aesthetic purpose well. 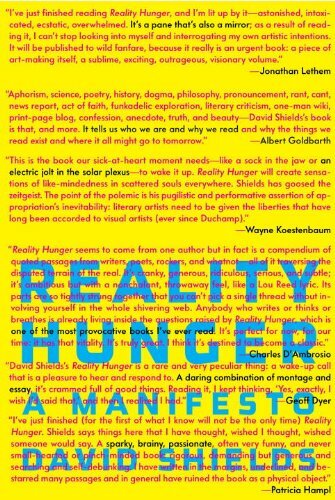 Since its release in April 2010, David Shields’ list-manifesto Reality Hunger has received a boatload of publicity, with Chuck Klosterman calling it “the most intense, thought-accelerating book of the last ten years” and Wayne Koestenbaum saying it’s “the book our sick-at-heart moment needs…to wake it up.” In fact, most of the reviews place the book in the present and the future of writing. I bring this up because, if this bound list of condensed stories, loosely attributed quotations, aphorism, and isolated observations captures the zeitgeist of nonfiction writing’s future, then digital nonfiction is where it’s at. But, even after reading the book, that Kafka quotation from his Lopate interview – “A book must be an axe for the frozen sea within us” – is what still most resonates with me. This is another answer I found in the fortune cookie. Earlier I used the analogy of time being one long analog sequence, and taking out the analog bits from this timeline being the first step of the digital nonfiction writer. Another metaphor for thinking about the process is this: if within every writer is a frozen sea of narrative, only by breaking up the frozen sea, both within himself and all around him, is the writer able to find the analog parts that compose it. The fortune I found in that cookie is, in fact, an analog piece of meaning, along with possibly thousands of others that present themselves to the wary eye on any given day. Through all this relentlessly advancing technology the same brain gropes through its diminishing neurons for images and narratives that will lift lumps out of the earth and put them under the glass case of published print. With Updike’s earth, Kafka’s frozen sea, and O’Banion’s (channeling Burke’s) river of narrative, we have quite a collection of metaphors from the natural world to describe an emerging form of writing that takes its cues mostly from technology, a force many see as non- (even anti-) natural. I like to think of these analogies, though, as space markers on the shifting digital landscape, ways of seeing the bits of material at the writer’s disposal in a world where, perhaps now more than ever, the possibilities are endless.